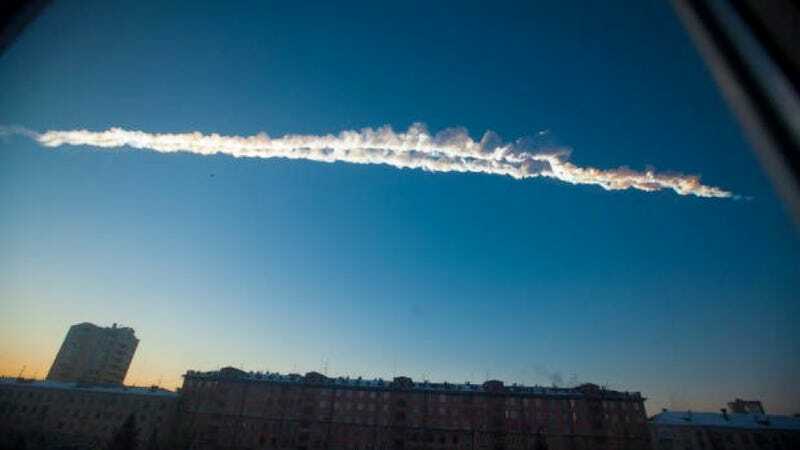 A big ol' meteroite exploded over Russia last Friday, and while the shock waves that shot across the Internet were definitely strong, the ones that shot through the atmosphere were pretty impressive too. The blast was loud enough for infrasound sensors as far as half-a-world away to hear. A lot of this "noise" probably wasn't audible to our puny human ears, which bottom out at around 20 hertz. It's still detectable though and there are dozens of facilities around the globe that have sensors devoted to detecting sounds 20hz on down. Why? Mainly to keep an ear out for possible nuke testing, which generate similar (but distinguishable different) sounds in the same range. It shouldn't be a surprise that, at about 20 times more powerful than the nuclear weapons used in World War II, the meteorite made some noise.